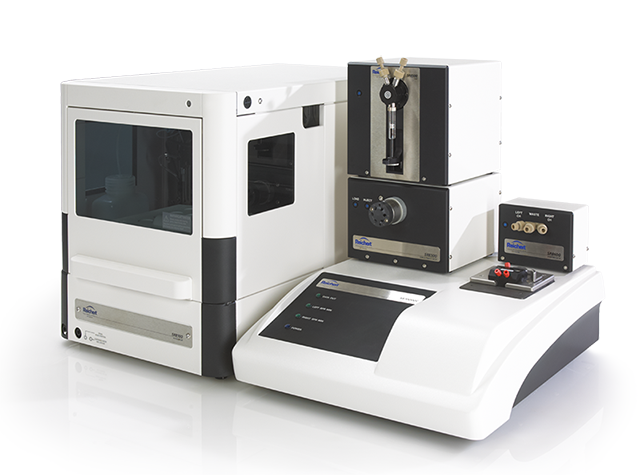 The SR7000DC SPR System provides SPR technology for label-free biomolecular interaction analysis. Our SR7000DC SPR System is an innovative label-free detection system offering unparalleled flexibility and remarkable sensitivity for biomolecular and biochemical analysis. Designed for breakthrough discoveries, it is component-based and cost-effective; upgrade or add instruments at any time. The system is low maintenance, using off-the-shelf fluidics. Use our exclusive collection of flow cells with the SPR spectrometer and perform SPR in combination with electrochemistry, fluorescence, photochemistry, mass spectrometry and liquid chromatography. Configure the SR7000DC System with these components: the SR7000DC SPR spectrometer; autosampler, for automated injections, or the semi-automatic injector valve; diverter valve, and programmable syringe pump. 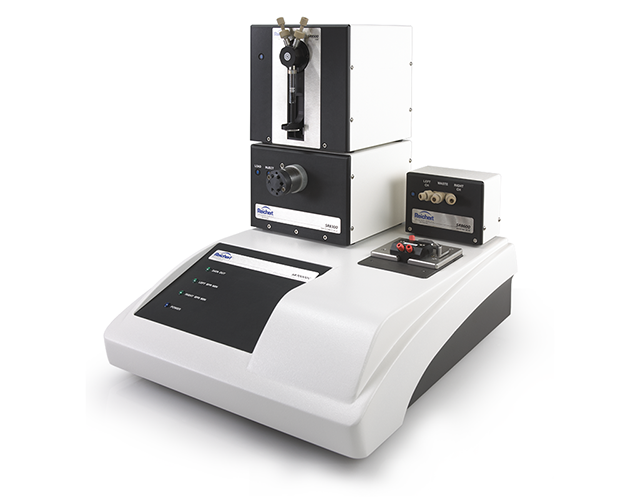 The SR7000DC SPR System is ideal for acquiring high quality kinetic, affinity, and thermodynamic data for biomolecular interactions. All components are purchased separately or as a system providing for easy upgrades. User-maintainable with minimal maintenance required, eliminating the need for yearly service contracts. Available flow cells µ-flow cell, UV-, electrochemical flow cell etc.